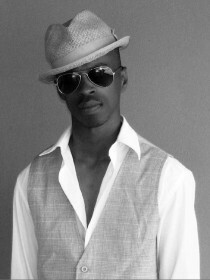 Loyiso Bala is one of South Africa's top R&B artists. He is winner of multiple awards, including 3 SA Music Awards, 2 Metro FM awards and GQ’s Best Dressed Awards (amongst others). He was the youngest conductor of the National Youth Choir in 2000 at the age of 19 years old. At the end of 2002, Loyiso went on a world tour that saw him stopping off in London, America and Asia. While in the States, he shot a video in Los Angeles for the third track of his album, "Should've been". After which he travelled to Florida, where he had a two hour meeting with the infamous Lou Perlman, creator and manager of the Back Street Boys, Nsync and Britney Spears. Thereafter Loyiso moved to Hong Kong and Manilla, where he shot the video for his second single "Jeeps". 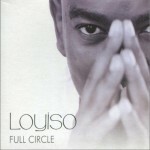 Loyiso continued to record R&B songs for various South African compilations, as well as occasionally featuring in TKZee hit songs. He recorded "Girl without a name" for the TKZee family album in 2000, which won them many awards and gave him incentive to record his own R&B album. After completing his music degree at the University of South Africa in Pretoria, he recorded his first album "Wine, Women and Song" in 2002, and later "Amplified" in 2004. He also performs with his brother Phelo and Zwai, as the Bala Brothers. Loyiso was celebrity judge at the 2010 Mnet Idols.